INQUIRE ABOUT OUR MINI-PALOOZA PACKAGE!! 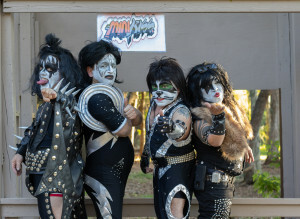 Minikiss has now added our new MEET & GREET package. Now you can have MINIKISS at your next event. The meet & greet includes, meet & greet, photo-opps, autograph signing, and just having fun with the world famous Dr. Pepper MINIKISS band. You can have all the band members or any of your favorite band members at your next affair. Great for birthday party’s, corporate events, expos, grand openings, etc. Make your next affair one for all to remember. ASK ABOUT OUR FAMOUS MINI-PALOOZA PACKAGE!! www.miniacts.com. We now provide you with the best in all your mini-entertainment needs. We provide mini-entertainment for all occasions throughout the country. Mini-Lady gaga, Mini-Madonna, Mini-Elvis, ELFS, leprechauns, Your one stop shop for all your mini needs!! If you are seeking little talent, look no further, we are your #1 resource in all mini/ dwarf talent. Please keep in mind that we pride our self’s with the BEST mini-entertainers any company has to offer. Thank You for visiting our webpage & we look forward to doing business with you soon. ASK ABOUT OUR MEET & GREET PACKAGES, RE CARPET WALKS AVAILABLE. Book your favorite MINIKISS band member for your next affair!! Great for house parties, small venues, grand openings. Book Mini-Gene, Mini-Ace, Mini-Paul or Mini-Peter for your next function. Together or separate.